Finding it tricky to focus on your studies or projects? Perhaps the problem is that your small home is lacking a dedicated study area. A permanent study space will help create some psychological boundaries around work and ease the associated stresses that often go along with independent study. It will also help compartmentalise the work and makes us more effective when we do sit down to crack the books. But the irony is that those who really do need that extra study space often inhabit small homes. But there is hope! A study area or home office need be no more than a small area for you to read a book or pop up a laptop. It's really quite a small requirement when you consider the footprint needed for the various activities in our homes. So with a little creative thinking, simple cabinet-work or merely just a rethink of the ways we organise our spaces, a small study area can be created in any small home. Keep reading for a few tips and of course, a little picturesque home study inspiration. Window ledges are a wonderful opportunity for a small home office. 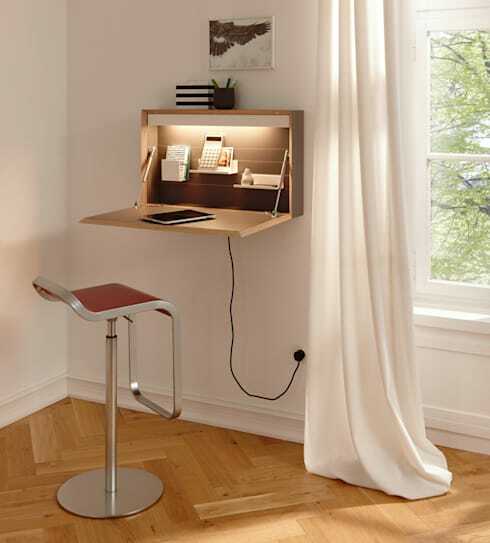 The window ledge can be extended and turned into a narrow desk area. 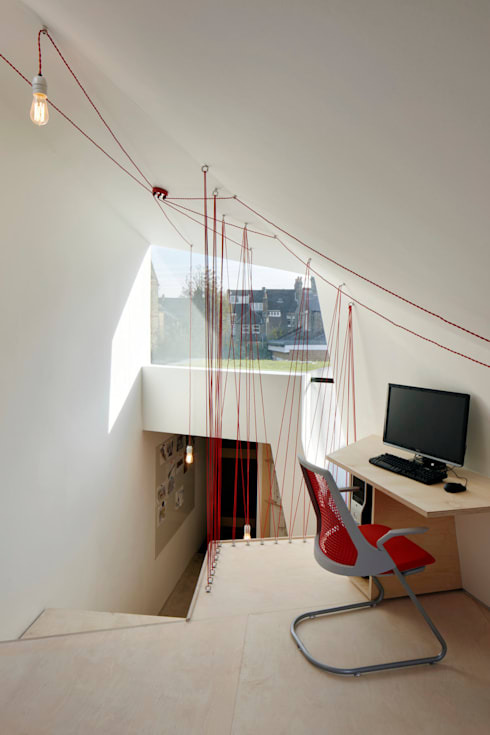 Just have a look at this desk space for inspiration. A wider or deeper window ledge is not likely to impact on the rest of your living area in the slightest. As with all of the options listed here, it's important to add dedicated lighting. Just don't spend too much time looking out the window! The corners of our homes are the trickiest spaces to design around, so they are often underutilised and can often be transformed into a small study corner. 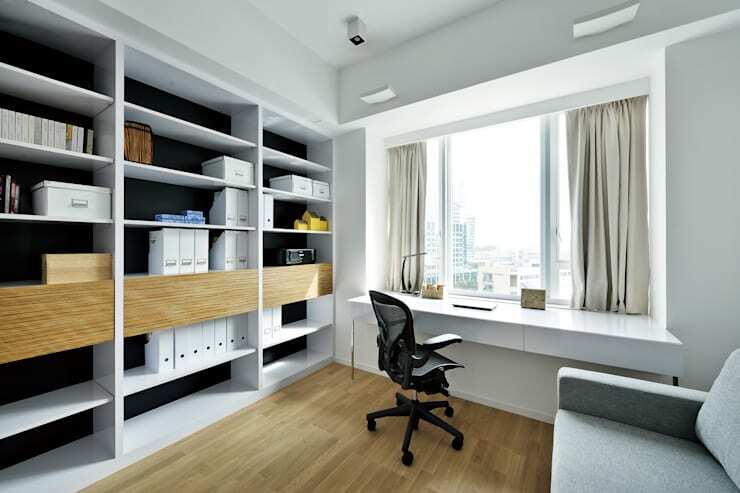 A small desk can usually be slotted into a corner without impeding on high traffic areas. 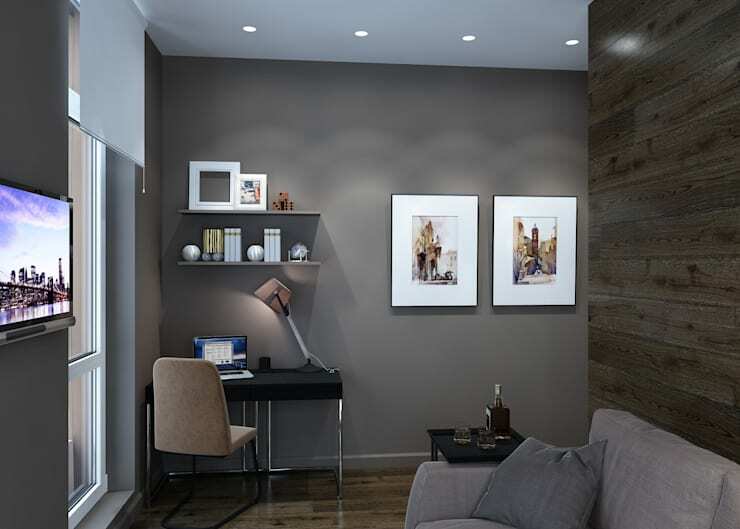 To really create a sense of the desk area having its own little zone, add a task lamp and turn it towards the corner of the room as seen here. Unused wall space is often just waiting to be turned into a home office. Just check out this pop out desk by German designer Michael Hilgers. A similar thing can be done with a built-in bookshelf as well. The existing cabinetry often just needs some very simple modifications to make a great desk space. A permanent space can be created or a pop up desk can be installed. This could consist of something as simple as a piece of wood or laminate that can be turned into a fold out desk with a couple of hinges. Let's not forget that the upper shelves can also act as your storage space for study supplies. We often make space for a small bedroom side table, but overlook the potential for a little study nook. It's just a little higher and wider than the average side table and can really be unobtrusive with a small stool or seat. To differentiate this space from the rest of your relaxation area, add a little oomph to the colour scheme as seen in this great bedroom office. 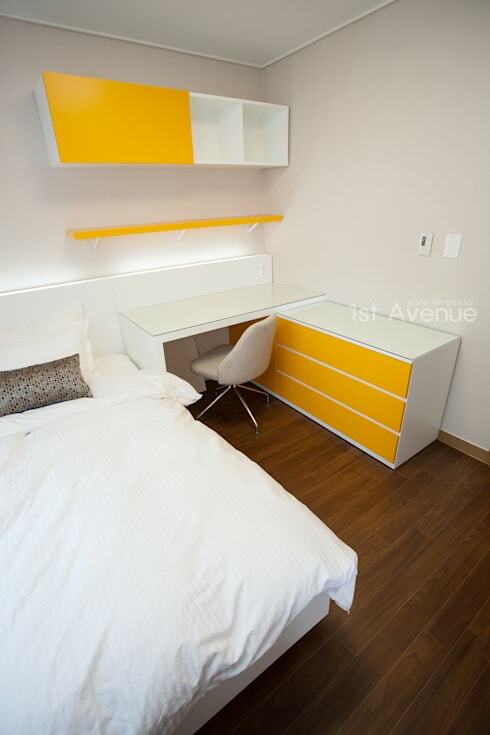 A bright yellow will make you feel more energetic and avoid the temptation to slip back to bed. As we mentioned before, corners are often the most underutilized parts of a home. If you are lucky enough to have a corner window or two, you are really in luck. Just have a look at this study corner created by interior designers My Beautiful Life. 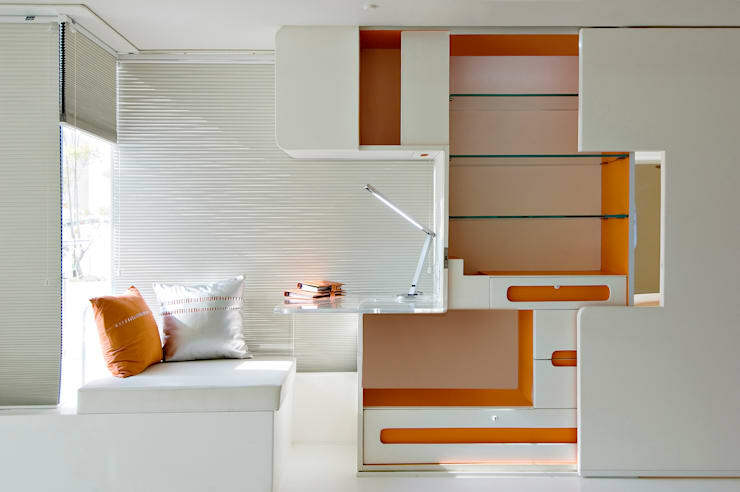 The tiny seat is perfectly fine for dedicated study and the upper wall cabinets provide storage. Plus, let's not overlook just now cosy a corner nook can be. Out of all the unused nooks, this staircase ledge would have to be our favourite. But there are lots of other options in most homes. The awkward space under a staircase is fantastic. But you could even build a small desk into a closet. The inside doors will offer great options for hanging storage and you can close the doors when you want to put your work out of mind. If you are interested in small home solutions, you'll love: How to make your small dining room look bigger. What do you think of these small home study areas? How do you stay productive at home? Let us know!